Shop local for your Valentine’s Day gifts! Tryst on Cherokee is a 10-day, multi-boutique pop-up shop on Cherokee Street, featuring artists and makers from St. Louis and beyond. Tryst’s launch party is Thursday, February 7th on the 2300 block of Cherokee. 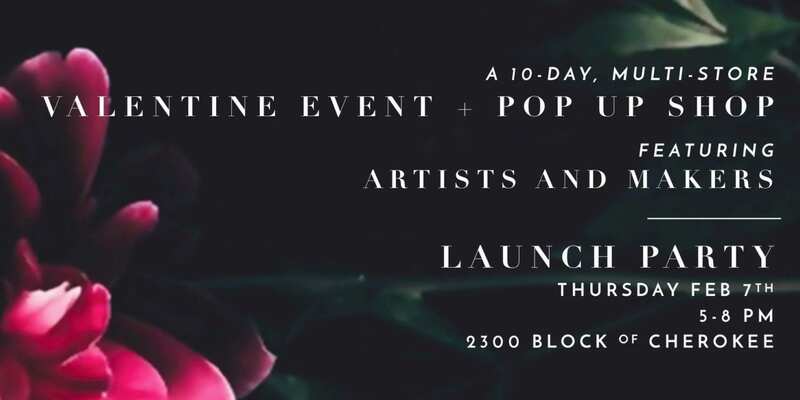 It will be an evening of fine art, handmade goods, wine, chocolate, cupcakes, cocoa, flowers, and much more. Find out about participating shops and VIP packages at the Facebook event page. See more Antique Row, Cherokee Street, Marine Villa, Markets, and Pop-Ups events.